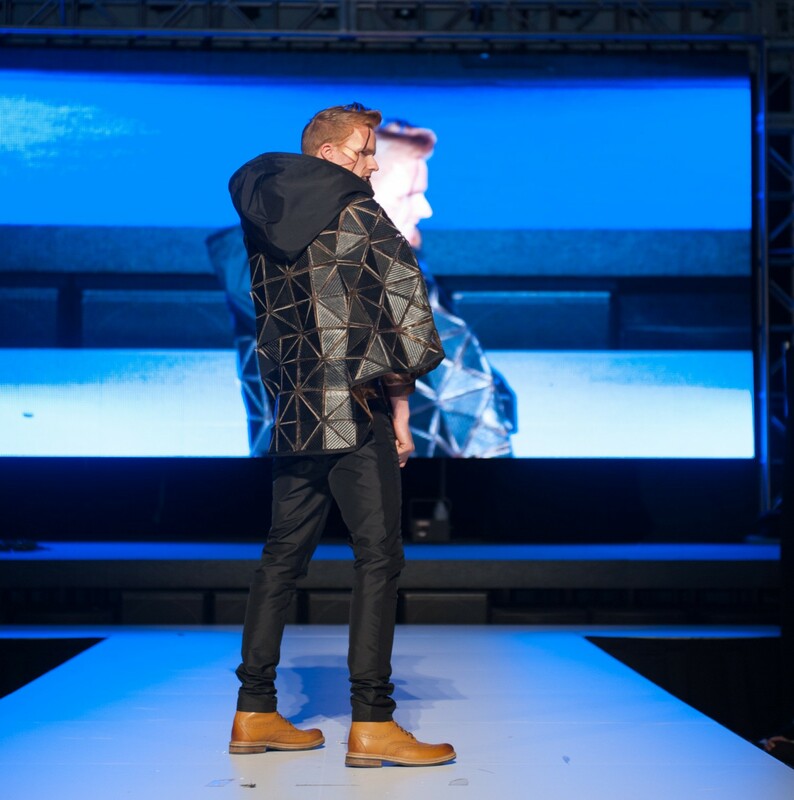 The Prêt a Porter Fashion Show is a feature event for the Rocky Mountain Chapter ASID held each fall in Denver. Leading architecture, interior design firms and students showcase their creativity in this chic fashion show of garments crafted with a diverse range of interior finishes. Disarmature: The ethereal line between protected and exposed. futuristic elements and will stand the test of time. does not contribute to the VOC to the elements of the future. Traversing the emotional landscape between childhood naiveté and adolescent angst, this persona exudes an intense tension inside and out. The delicate juxtaposed with the edgy, both in texture and palette. The outfit was entirely hand crafted of carpet supplied by J + J Invision. Eco-Eccentric celebrates relationships between organisms and their environment by adapting to its subtle changes. Shattering misconceptions that the bizarre can’t be sensible, most of these fabrics are recycled AND recyclable.